Don Piano is an unusual font that combines the look of two 20th-century technologies—punch cards and typewriters. Its dark shapes and lighter strokes give an interesting syncopation to the words, almost musical. Available in Regular, with proportional spacing, and Monospaced. 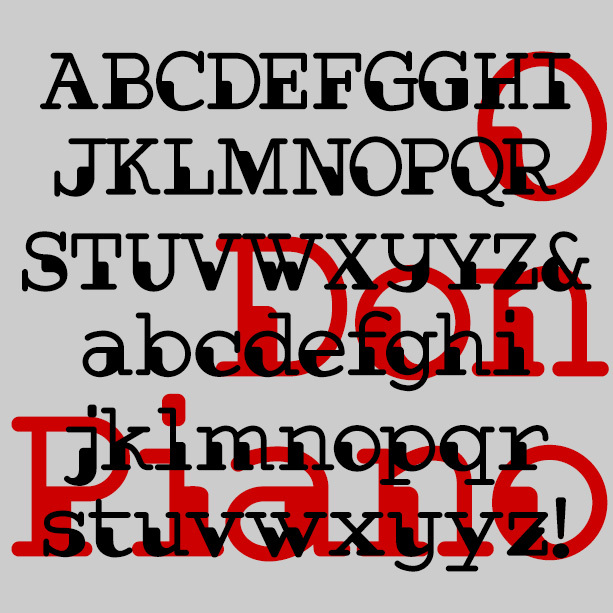 Don Piano was inspired by a sketch in a lettering book from 1954 with this caption: “The authors were at a loss to give this alphabet a name except that it is different. 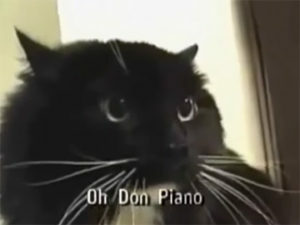 It was made with a ball-point pen.” The name comes from this famous talking cat video that always makes me smile.